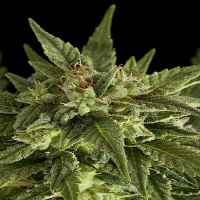 Golden Temple Kush Regular Cannabis Seeds by Reeferman Seeds: This Kush is so good that it is regarded as holy by some, and came from a very special place from the hands of very loving people – hence the name Golden Temple Kush. These are true Reeferman genetics found and bred by Charles Scott. Do beware of imitations or knockoffs. 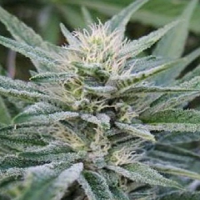 The taste can be described as OG Kush and Sweet Wine – absolutely top shelf medicinal cannabis. Potency, as one would expect from a strain selected for resin content for hundreds of years, is very strong. While physical, the effects are also euphoric and happy, and when taken in greater quantities they can border on or even cross over to psychedelic.